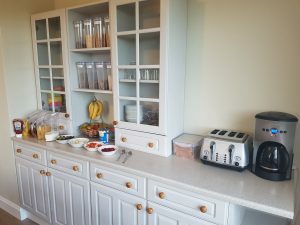 Breakfast will be served between 7.30 and 8.30am monday-friday and 8am-9am on sunday. We can be a little flexible with these times if requested. 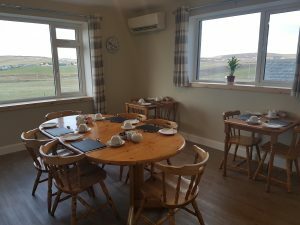 The dining room enjoys views over the town, scapa flow, Graemsay and the Hoy hills. If you have any dietary requirements please let us know when booking.